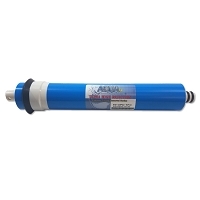 The Seahorse Inline Reverse Osmosis RO/DI is a small portable unit that makes 0 TDS water. The AquaFX Seahorse Inline RO/DI work HORSE unit will perform extremely well when used for its intended purpose. It is designed for lower daily gallon needs. The limiting filter is the carbon. The carbon is good for 1000 gallons of water having less than 2 ppm chlorine. Smaller tanks, fountains and other places Ultrapure water is needed. All AquaFX systems include quick connect fittings, a shut off valve, and your choice of a feed adapter.